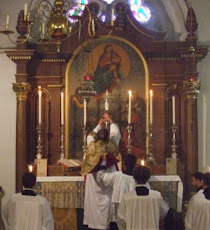 Fr Hunwicke's Mutual Enrichment: Vocation to the Priesthood? I have received an email from a postulant who, before he can go further in seminary studies, will need to pay of a student debt, contracted in Canadian dollars. I visited this request as per the link. The student, Cody cannot fill the O in GOD, but writes G-d. What is up with that? Anyway, I cannot in good faith give to this begging attitude that is pervasive now in society. Always looking for the easy way, and begging is such a demeaning thing to do. Cody seems sincere and he needs to clear the books himself with work. That will teach him how to deal with life. His finding a new vocation should wait and the burden of the student debt he should pay off with hard work by him! Life is not easy and we all need to think long and hard as to what we sign on for, especially financial. I wish him good speed, and the sooner he works, the sooner his debt is paid, and the sooner he can move on to serving God as he wishes to do. Thank you Fr and God bless you.